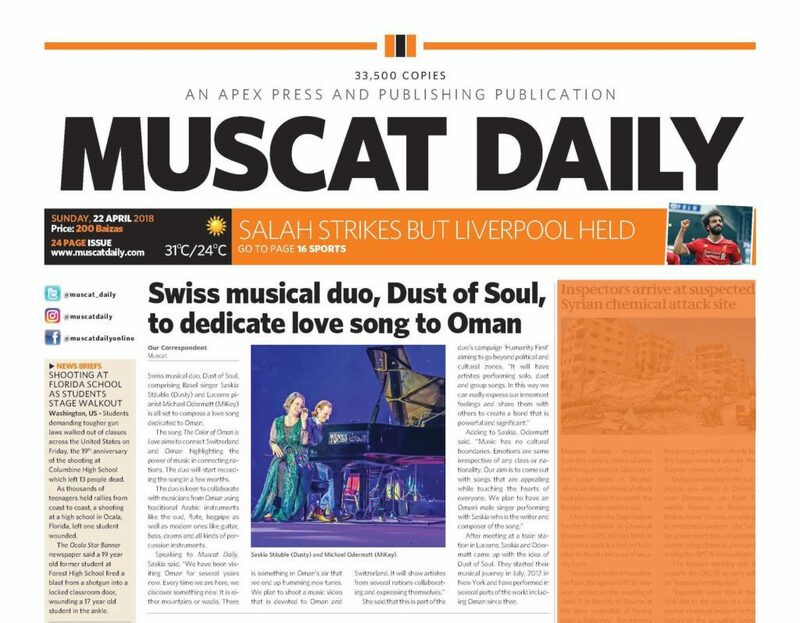 Muscat based Correspondent Anirban Ray working for the Muscat daily newspaper «Muscat Daily» met the Swiss musicians duo Dust of Soul at their concert at Grand Hyatt Muscat Hotel back in October 2017. Renown Ray is not only a fantastic writer, he is also a raising star in the film making and film directing field. This is how the Swiss duo and Ray met again in March 2018: a joint short film project was laid out to give another view of how artists perceive the Sultanate of Oman and how they respond with creativity. 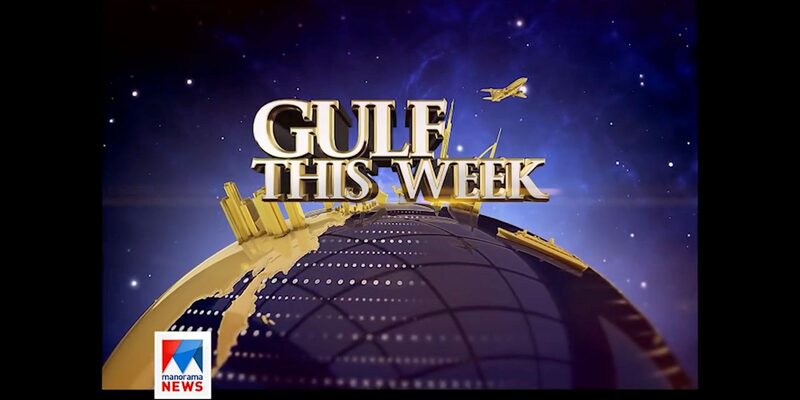 Specifically the Swiss duo has driven by a vivid inspiration coming from the Arabian kingdom ever since their first trip to Muscat. 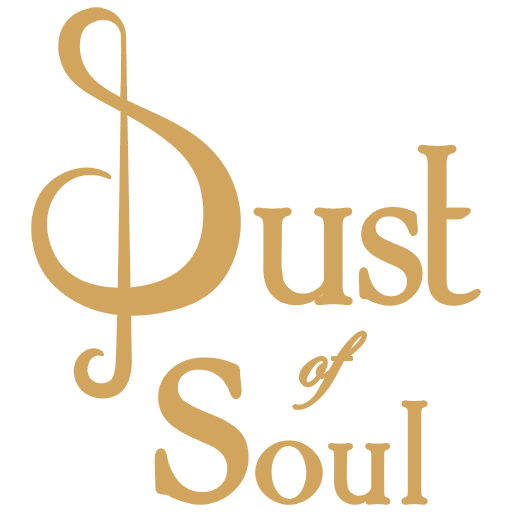 On their very first days an entire song was written by Dust of Soul-singer & composer Saskia Stäuble, known as Dusty. “The Color of Oman is Love” is the musical piece called, ready to set a sign for a bridge through the arts. 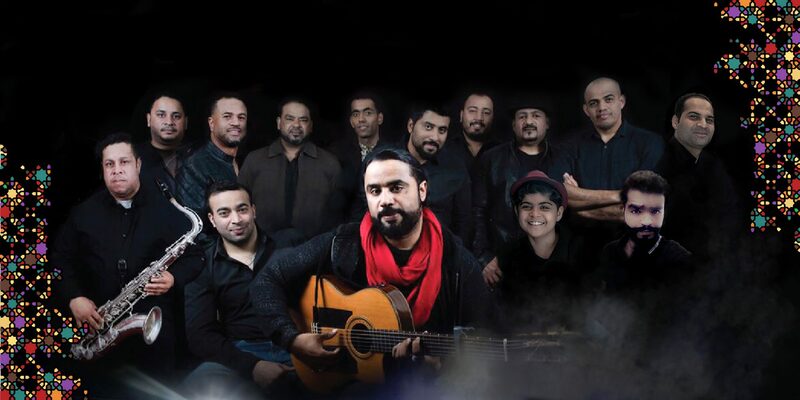 The power of music demonstrates the connection between Switzerland to Oman. 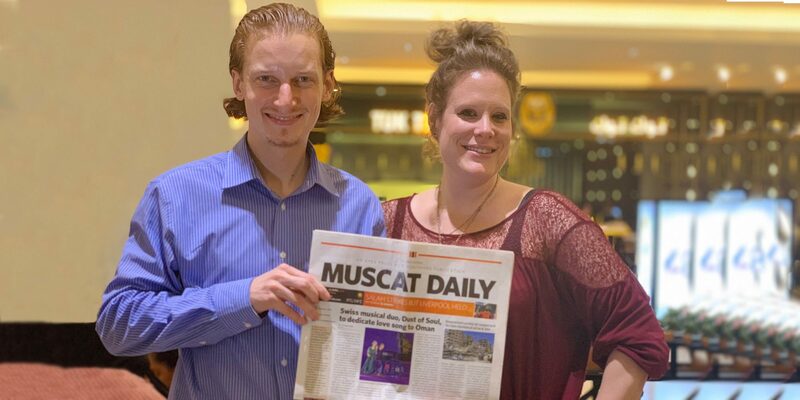 In the article Ray is telling about the future initiatives of the project: the duo is planning on recording the song with as many musicians as possible, all locals from Oman. A making of video will show the collaboration of the nations and the interactions between musicians from different nationalities, from different cultures and background, how amateurs and pros work together as human beings. 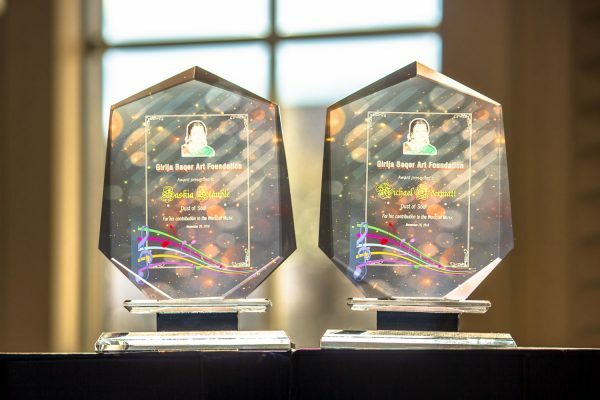 The initiative is part of the message “Humanity First” Dust of Soul carries out into the world. Stay tuned for more information to follow very soon. It is not my first time to visit this site, i am visiting this website dailly and obtain pleasant data from here all the time.